. : Optics & Photonics Focus :: The optical trap and the speed of a Brownian particle :. 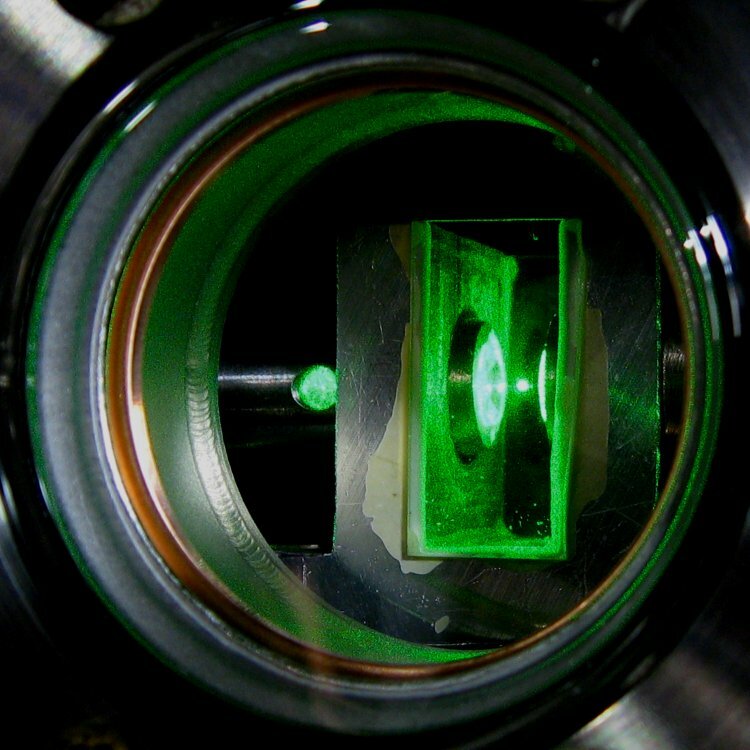 The focused green laser holds a Brownian particle. The scattering from the particle gives information about the instantaneous position of the particle and it is recorded 75 million times per second using a novel photodetector. The position increments tell show the researchers the instantaneous speed of the particle.